The Australian federal political landscape is littered with the remains of ousted Prime Ministers and scattered with friendly-looking landmines for our new PM to cautiously navigate. The ever-changing roster of political leaders has all but convinced a generation of voters that their voices count for nothing. Since John Howard left in 2007, no leader has seen a full term in office. As an adult, I have voted in three elections but have seen the Prime Ministership change six times. Before this, Australia was politically stable, though now this feels like a bygone era. The disheartening state of affairs in federal politics will make Australians feel as though our democracy is failing the people. Ultimately, the people are forgotten and suffer from these kinds of political machinations. Regular leadership changes have typically been the playground of the opposition party attempting to win the next election. Traditionally, the party in power has knuckled down and done their job rather than perform in that circus. Now, they are the circus. Rather than create policies or espouse action to benefit Australia, our leaders only make plans to hold onto power. Under the Howard Government, we saw 11 years of strong leadership and, whether you liked his leadership or not, he maintained stability and unity within his party, as a leader should do. While we are drawn to political drama, backstabbing and shadowy plots on TV like in Game of Thrones and House of Cards, it is not entertaining as a reality for Australia. New South Wales is currently enduring a declared drought; farmers are struggling, crops are withering and livestock are perishing, yet our elected leaders choose this time to squabble over who gets to sit on the high chair. 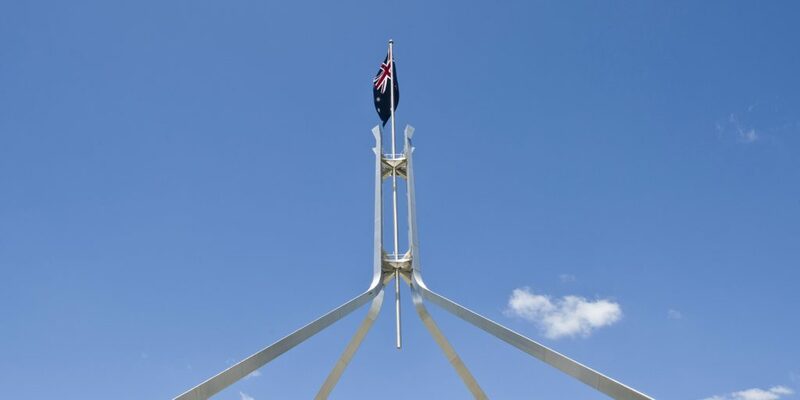 Our politicians may legally bear the title “The Honourable”, but very few Australians would ever consider them honourable, especially in the wake of the latest saga that saw yet another Prime Minister take the reins. Apart from his constituents in the Division of Cook, approximately 104,000 registered voters, no one saw Scott Morrison’s name on the ballot at the last election. Is that really a representative democracy? Often-overlooked is the cost of these powerhouse changes. A significant reshuffling of government entities necessitates considerable spending, time and personnel; all to the detriment of Australia. Australians should rightfully be angry at how our taxes are being poorly spent. Rather than provide solutions for our struggling rural communities that support our economy, the governmental changes allocate millions upon millions of dollars to create a flashbang cabinet in an attempt to stay in power. From here on out, it won’t matter whether Scott Morrison does a good job or not; the public is inclined to view any action as a PR stunt. Sometimes people vote based on policies, projections and promises, but more often they vote for which candidate they’d rather have a beer with. For whatever reason they cast their vote, people’s voices are rendered mute when someone like Peter Dutton, arguably the second most powerful political figure in Australia prior to this saga, uproots democracy so he can carve his name indelibly in Australia’s political history. Although the architect of this latest political upheaval, Dutton has been reinstated as Minister for Home Affairs under the Morrison Government. This begs the question: is his bad behaviour being rewarded, or is Scott Morrison keeping an ‘enemy’ close? This frequent backstabbing does nothing for our country but highlights how self-serving and out of touch our “elected” leaders are. Dutton’s pledge of “absolute loyalty” to Scott Morrison and the government he has formed is hollow. Five days before the leadership spill, Dutton Tweeted that he fully supported Malcolm Turnbull and the government’s policies, but his very next Tweet challenged Turnbull’s leadership, proving the worth of his words. Are we now supposed to believe that Scott Morrison, who defeated him in the party vote, has his “absolute loyalty”? Words are increasingly cheap in Australian politics. Politicians are elected to lead us, to protect us, to provide for our needy and to honourably represent our interests as a community rather than line their own pockets with power, enjoy luxurious expense accounts and make power-grabs for themselves. Our politicians should be listening to the needs of the people. My generation, who has scarcely known consistent leadership, is paying attention to Australia’s political leaders and will ensure that our representative democracy does not crumble further. Ultimately, the new generation will not remain voiceless but will march to the ballots to let the politicians know that it is we, the people, who have the power to answer the question: “Who will be our next PM?”.